BECHDEL TEST: PASS-Selina, Ivy and Harley all talk to each other about things other than men, their heists, Ivy’s past, Ivy & Harley’s relationship etc. Now let’s start with the obvious here, I don’t have any experience of Catwoman in other forms. I’ve only watched the one film featuring her and it was so long ago that I barely remember, and I don’t read the comics. I’m also not massively familiar with Gotham. I felt that this was actually a help rather than a hindrance to me here though, because I wasn’t going, oh such and such is different to the comics and although it does assume some basic knowledge, it’s easy enough to follow if you’re a DC newbie, which I appreciated. I liked Selina, she’s smart and cunning, very good at gymnastics and a pretty ruthless killer. I don’t know how Catwoman is in the comics, but I liked that Selina still felt very human, she can be vulnerable, she’s not totally one thing or the other, completely good or completely evil, her characterisation was quite a nuanced take on a villain and in fact I would argue, probably more anti-heroine than villain here, which worked quite well for the story. She’s very easy to root for and despite reading some reviews that said she was basically just a carbon copy of Celaena, I would have to disagree, whilst Selina does have some of the same swagger as Celaena, I thought her character was a lot more nuanced. The contrast between Selina as Catwoman and as Holly was done pretty well also, I think helped by the dual POVs because we get to see her through her own eyes as well as Luke’s, so the contrast is emphasised even more. 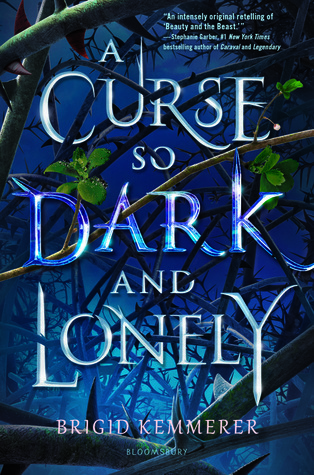 The pacing in this was much better than usual for Sarah J Maas’ books, it was a bit of a slow starter, but the chapters were nice and short and once we got into the Catwoman action, the pace really picked up. I think writing a standalone did force her to not include as much filler as she does in her series’ which was very much to the benefit of the book! I will say that there were aspects of the plot that were a bit repetitive, a lot of Catwoman/Batwing confrontations, many heists and quite a bit of Luke and Holly (Selina’s alter-ego) hanging out, but I think that was just the nature of the book and for the most part I did enjoy all those things, so it’s not necessarily a complete negative, just something to note. I really loved Selina’s relationship with Maggie, I can’t really say too much about it without diving into spoilery territory, but I am a sucker for a good sister relationship and this definitely was one. Maggie has cystic fibrosis as well, which is not something that you often see in books! Luke Fox, aka Batwing, I did feel was a little bland. 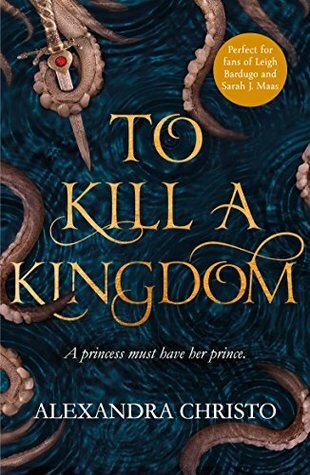 I liked that Sarah J Maas had a non-white love interest in this and I appreciated the PTSD rep, because again that’s something you don’t often see, but Luke as a character didn’t really make much of an impression on me. He was also kind of an incompetent hero, he didn’t seem to be able to do anything about Catwoman and all the chaos she was causing. I also didn’t really feel like there was much chemistry between the two of them, perhaps slightly more as Catwoman and Batwing, but as Luke and Selina (well Holly)? Not so much. I do love that she always emphasises consent in romantic relationships though and that’s seen again here (this book does not contain the same level of graphic sexual content as some of her other books, just a little kissing). I really enjoyed the flashbacks to her time at the League and I would have liked to have seen more of them, the way the story works is we get the setup of how Selina joined the League at the beginning and then it skips right ahead to two years later. Now I understand why Sarah J Maas did this, training montages can be quite dull and she wanted to preserve the mystery for later in the book. However, we only really get to see brief glimpses of what happened at the League and I just would have liked a little more because I really enjoyed those parts. The writing was for the most part okay, it’s a much simpler style of prose than she uses for her other books which made sense since the overwrought but very pretty metaphors she uses in her Fae worlds would have been extremely out of place here. I will say though that there were occasions when the writing felt a little stilted and there were some odd phrasings here and there, but for the most part, it was pleasing to read and fitted well with the setting and the story. Also much to my relief, she was not too overzealous on Catwoman purring! I really enjoyed all the cool tech, it was a nice taste of what could be to come in her new series, Crescent City as that’s supposed to be a more futuristic setting than her other books. Ivy’s powers as well with the biotoxins and the plants were really cool. I loved all the female friendship in this, it was wonderful to see Selina working together with Ivy and Harley to cause chaos, though I will say that I think Harley could have been more fleshed out, I felt like Ivy was the more developed character of the two of them, you get more of her history and talents than Harley’s. There are obviously some really great action sequences in this, particularly towards the end, which I really loved. One of my favourite scenes is as Selina (as Catwoman) and Harley and Ivy are leaving one of their heists, they get the band to play them out with “Don’t Stop Me Now” which I just found so funny. Selina’s motivations are somewhat murky throughout the book, which is initially annoying but you do get really great pay-off in the end and I loved how Sarah tied everything together as the final plot unfurled and it really makes sense as to why she does everything she does throughout the book and comes together in such a satisfying and exciting way. I will say that Sarah employs a trope she’s used in previous books in this one again, and it kind of irritated me because it seemed a little implausible that particular trope would be possible here, given the circumstances in the book. It all wrapped up very nicely, and whilst it’s definitely a standalone book, if Sarah was ever asked to do a sequel by DC, I would be very happy because I’d love to see Selina and her friends causing more chaos together! Overall this was a really enjoyable book, lots of fun action, cool tech, a great main character and epic female friendships, I would definitely recommend this book whether you like comic books or not! My next review will be of the sequel to The Exact Opposite of Okay, A Girl Called Shameless by Laura Steven, though that probably won’t be until the end of the month, since I’ve only just started it! Bechdel Test: Pass-Brief conversation between Mei and Hesina which is not about men. I received this book from Albert Whitman & Company, through Netgalley UK, in exchange for an honest review. As always, thank you to Albert Whitman and Netgalley for allowing me to read this book early, this was a much anticipated release for me this year, so it was great to get to read it early. I want to start off on a positive note, so I’ll talk about the writing first. Joan He definitely has a way with words, the opening line was killer and even in parts when I wasn’t enjoying the plot of the book, I still noticed how nice her writing was, so in that respect, the book was good, it was well written, no doubt about that. I also liked the concept of the world, a Chinese inspired fantasy world is something I’d definitely like to see more of, and there were a lot of great descriptions of that. However, I felt that the world building kind of let me down a little and there were lots of things that I felt I didn’t quite understand or could have been explained better, particularly regarding the Sooths, and the Eleven. There are more explanations as we get further into the book, but it’s kind of too little too late. It’s also a very weird mish mash of genres, I wouldn’t even really say that calling this a fantasy is an accurate description because there is very little magic, it’s more kind of political drama meets detective meets tiny bit of magic, it’s really only a fantasy world in the fact that it’s not set in our world. I don’t know just for me personally, I prefer fantasy worlds with more magic and when there is a “banned magic” type world, I think you at least have to explain more about how the magic works. The biggest problem for me in this book though was the pacing. IT WAS SO SLOW. The first chapters had so much promise, but as soon as the second part started with the trial, everything slowed down to basically a crawl. It took me so long to read this precisely because I could always find something else I’d rather be doing, and the chapters were so long as well, so it took me forever to get through. I found the characters so hard to connect to as well. I really liked Lillian, she was quite funny and added some light relief to proceedings, and Caiyan became more interesting as we got further through the book. However both Hesina and Akira were kind of bland to me and I struggled to work out why I should care about what these characters were going through. I liked the dynamic between Lillian and Hesina but for a novel so reliant on family dynamics, I felt like they fell flat a lot of the time. I honestly couldn’t pick a character in this book that I felt was really well developed, so I definitely think more time needed to be spent fleshing out the characters. The politics was also kind of hard to follow, the Kingdom of Yan is supposedly at odds with Kendi’a, a neighbouring kingdom and one of Hesina’s ministers is trying to manipulate her father’s trial in order to get a war with that Kingdom but it’s never really explained why and Xia Zhong doesn’t really make a particularly convincing adversary, due to lack of development. The trial scenes were completely pointless, since Hesina was off doing her own thing most of the time anyway, so I was like well what is the point of this then? I got how the trial fed into the main plot by the end of the book, but reading it, when Hesina was doing her investigations on the side was kind of frustrating because it didn’t really seem to be doing anything. The romance was pretty terrible, Akira and Hesina have no particular chemistry and it just didn’t feel necessary at all. WHY MUST WE SHOEHORN ROMANCE INTO EVERY YA BOOK EVER? THEY DON’T ALL NEED IT *repeats and screams until death*. I did at first wish that there was a glossary for the Chinese terms, but actually there are relatively few, and once they’ve been used a couple of times, you can work out from context what they mean, so a glossary isn’t really needed. There were some decent plot twists towards the end of the book but at this point, for a standalone, the author had left herself too much work to do, so whilst you get explanations for most of the things that happen throughout the book, the ending is pretty open and seems to demand a sequel because there’s so much left unanswered. I also found the epilogue, with the change of POV kind of jarring. It explains a lot about some of the events in the book, don’t get me wrong, but I feel like it was wrongly placed, it maybe should have come earlier in the book. Overall this book had potential, and the author is definitely a good writer, but the flat characters combined with the confusing world and weird mish mash of genres as well as the slow pace, made it quite difficult to read. I would read more books in this world because I think the author has promise, but overall, this one wasn’t for me. 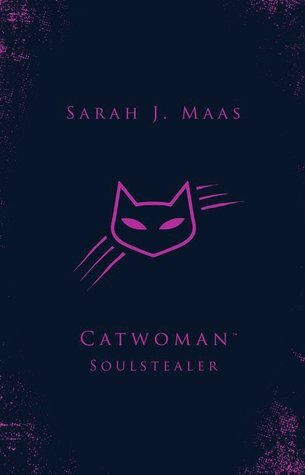 My next review will be of Sarah J Maas’ Catwoman: Soulstealer, my April #RockMyTBR book. BECHDEL TEST: Not applicable, since this is a memoir. This book was split into three different parts, plus a preface and an epilogue, and there were different chapters within each part, with the middle section being by far the longest and the last section the shortest. Usually I would complain about lengthy chapters, and there were quite a lot of lengthy chapters here, but Michelle writes in such a way that I never felt bored when I was reading, which was great. I liked the different sections as well, you get to follow Michelle at each stage of her life so far, through childhood and teenagehood, her college years & early years with Barack & then through her life as First Lady. I loved Michelle’s writing style, she was refreshingly candid and it felt like sitting down with a friend for a chat, I looked forward to reading it every night because I knew I had another chapter of Michelle’s beautifully honest words to look forward to. It’s funny when needs be, emotional when needs be and filled with love for her friends and family. Obviously learning about her early life and family was a completely new thing for me, I’m not American and whilst you glean certain things from news articles, basic facts like where she grew up and went to college, there was a lot I didn’t know. I had no idea she had an older brother, or that her father had MS and the love for her family and their influence on her life completely came alive off the page so I really loved those parts. She’s wonderfully candid about being black and a woman in America and it’s great to read about, because I might have experienced the things that come along with being a woman, but I’m obviously a privileged, young, white woman and it was very eye opening to read about some of the things Michelle experienced due to her race because they are things I’ve never had to experience and she talks about them in such an eloquent and candid way. There’s nothing that she shies away from talking about in this book, she lays everything out on the table and I really engaged with that. I also loved the inclusion of photos, there’s a huge spread of them just over halfway through the book, and I kept flipping back and forth to them whilst I was reading so I could see the photos of what she was talking about. A consistent thing she talks about through the book is her feelings of “Am I good enough?” which she comes back to through her life and I found that very relatable, because I’ve definitely had feelings of that throughout my life as well. Reading about all the women who inspired her and how much her female friends mean to her was wonderful as well, the women in her life clearly mean so much to her and have been such inspirations and I love seeing that woman I admire also have women in their life who are that for them. Obviously she talks a lot about her and Barack’s relationship in the book, which I loved. She’s not afraid to poke a bit of fun at her husband, the first chapter where she meets him starts with the fact that he was late on the day they first met, and I loved little details like that, as Michelle said in one of her later chapters when she says she talked about Barack leaving his socks lying around their apartment, it makes him seem less like this unattainable president and more like a regular guy. It’s so clear though that she loves and admires him so much and the little bits of her playfully jibing him made that even more clear to me, because it’s something me and my friends do to each other quite a lot! I particularly loved her recollection of his proposal to her, it was the cutest darn thing! The parts about her not being sure of what she wanted to do with her life and struggling between wanting to do good and keeping on the high paying career track, really hit home for me, reading it at this particular time. It’s not so much that I necessarily want a high paying career (Journalism is not known for pulling in the big bucks!) but that I’m coming to the end of Uni and I’m not really sure about what I want to do next, where I want to go, what I want to do, so knowing that someone like Michelle Obama also struggled with that makes me feel a whole lot better! 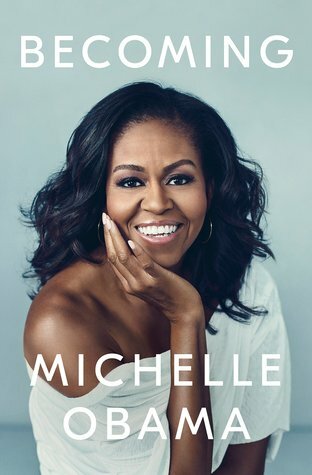 As well as Michelle’s lovely wit, there’s a great deal of emotion in her memoir as well, she speaks of her friend Suzanne dying, of her father’s death and of a miscarriage she experienced, all with such honesty but also such genuine emotion, I was definitely close to tears in several of those parts. Her love for her kids just leaps off the page, it’s so clear how much they mean to her and it was great to read about how she balanced her work and her family without sacrificing her love for one or the other. Even when she was covering events I was more familiar with, like the presidential campaign, although I’ll be honest, I remember the re-election campaign far better than the initial campaign, I was 12 when Barack Obama first ran for president and though I definitely remember the buzz of him being elected President and seeing it on the news and everything, I don’t really remember the campaign as much, since at that time, I wasn’t really all that interested in politics. She’s very candid about how she feels about the political world, and firmly puts to rest all of the presidential rumours in the epilogue of this book. I had no idea how involved she was in the initial presidential campaign & how much flack she took from the press both prior to being First Lady and when she was in office. It was so interesting to read about the transition, because it’s something I’ve always wondered about, obviously you have two months between getting elected and actually moving into the White House and Michelle shed a lot of light for me about what actually goes on during that period! I was worried I wouldn’t enjoy the last part as much, since it was talking about her time as First Lady and of all the parts of the book, that was what I was most familiar with, but I needn’t have worried because honestly I didn’t really know that much about all the initiatives she implemented whilst in the White House and how much she did for children (girls’ education especially) and military families. It’s clear how much she cares about all of her causes and I loved seeing how proud she was of the work she did. I will say my only little gripe was that some of the later chapters skipped through time quite quickly so I did sometimes find it a little difficult to follow where exactly she was in the course of Obama’s presidency. I loved seeing her talk about things I remembered happening, Obama singing Amazing Grace at the Charleston service, marriage equality going through, the Carpool Karaoke she did and of course, the Hamilton performances at the White House. The shade she throws at Trump is just awesome, she’s clearly no fan of the man (but let’s be honest who is), but the way she talks about being devastated at the result and still ensuring that they made the transition for the Trumps as seamless as possible is a true testament to how classy a lady Michelle Obama is. I’ve not much experience with memoirs but after this one I’m definitely going to be seeking out more, it was such a fun a read and actually a refreshing break from fiction? I love my fiction books of course I do, but I definitely think I’m going to be breaking them up with more non-fiction from now on. 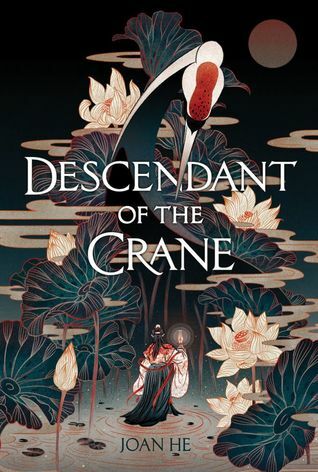 My next review will probably be of Joan He’s Descendant of The Crane, as I’ve only got a few chapters left of that. Bechdel Test: PASS-Sophie and Camille have several conversations which don’t revolve around men, and Camille talks to Claudette and Sandrine at the casino in a discussion which doesn’t involve men. I received this book from Macmillan Children’s Books through Netgalley, in exchange for an honest review. As always, thank you so much to Macmillan and Netgalley for allowing me to read this book early, it was one of my most anticipated debuts of 2019 so it was great to have a chance to read it before publication. 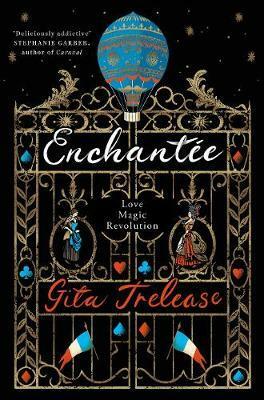 I really love Gita Trelease’s writing, I was hooked on her prose from the very first line (which is killer by the way) and that didn’t let up through the whole book, I’m not a particularly visual reader, but the way that Trelease wrote made me feel like I was in the grimy streets of palace and the beautiful halls of Versailles, experiencing Camille’s adventures alongside her, which is the mark of an amazing book for me. Her prose was gorgeous, but not so dense that it felt overwritten which I liked. I also liked that the chapters were relatively short, they did get a little longer later on in the book, but for the most part, they were pretty short, which meant I could read 4 or 5 odd chapters a day, which is always good (plus, I was so engrossed in the plot that I wanted to read 4 or 5 odd chapters a day). I thought the magic system was AMAZING. The whole idea of it, basically there are 3 different types of magic, la magie ordinaire, which is small, little tricks, glamoire which is disguising yourself and la magie bibelot which is making ordinary objects sentient. The idea is that magic is fuelled by pain and sorrow, so the more magic used, the higher price paid by the wielder, which I liked, magic should always have some sort of cost and that was right at the heart of Enchantee. It was also nice for once to have a magic system that was relatively easy to follow, I love fantasies, but the worlds and magic systems can sometimes be overly complicated, which wasn’t the case here. The main character Camille was absolutely amazing. She was really easy to root for, her parents had died, she was trying to protect her little sister from their abusive older brother and she’s just trying to do her best to make sure that she and her little sister are able to live comfortably. What I liked most about Camille was that she was so flawed, she’s scared and she makes mistakes but she’s just doing her best to provide for her sister and make a better life for her and you could just really root for her. I also loved that her relationship with her sister, Sophie was so pivotal to this book, everything that she does, she does because she wants a better life for her sister, they had such a lovely relationship and being someone who particularly loves sister relationships in books, the one between Sophie and Camille made my heart soar. It’s really hard watching as Camille descends further and further into Versailles and loses more of herself, because you grow to care for her so deeply and honestly I was worried for her life at several points! Camille and Sophie also have an older brother Alain, he was awful, an abusive, alcoholic who tries to take advantage of his sisters’ generosity, none of the characters in this book are morally perfect but he was the one character that I couldn’t really find anything redeemable about. The romance in this was a lovely, slow burn one that I could really root for. So often I feel myself getting tired of YA romances because they all feel SO samey, but I loved Lazare and Camille, they were both so awkward and cute and really felt like kindred spirits, and their first kiss scene…..I mean WOW. Both she and Lazare are hiding a ton of secrets which makes their romance very complicated, but it’s so fun to watch them dance around each other trying terribly to hide their respective secrets. Lazare was amazing as well, I loved the biracial representation (this book is #ownvoices for that), and Lazare’s feelings of not being considered French or Indian came across as very realistic struggle. I also really loved the hot air balloon aspect, I wasn’t expecting to, I didn’t really know how it was going to fit with the French Revolution, but it really did, I loved how Trelease used the balloon as a metaphor for the freedom the people are hoping is provided for them through the revolution, and as a way to connect both Lazare and Camille as both are looking for the hope & escape that the balloon provides them. Chandon was probably my favourite of the court characters, he’s charming and kind of slippery and just generally so much fun. He’s also gay and I loved getting to see historical gay representation because yes, gay people did exist in the 18th century! I loved everything about the Versailles that Trelease recreated in her book, it was beautiful and magical and dazzling but you discovered alongside Camille all of the dark underbelly of the court, yet you still found yourself addicted to the place, it was honestly like I was experiencing everything alongside Camille. It would have been so easy for Trelease to characterise the nobles of Versailles as “evil” especially given the timing of the story, but she doesn’t, instead they are all fully formed, complex humans and Camille discovers that there is a lot more to them than meets the eye. I LOVED the magical dress that Camille used to help disguise herself at Versailles, I have a thing for gorgeous magical dresses (after Caraval) and this one was just brilliant, it’s somewhat sentient, so it helps Camille out a lot throughout the book but it’s also weirdly sinister and dark and I loved that. There’s a masquerade ball scene quite late on in the book and I JUST….a masquerade ball in 1700s Versailles? YES, YES, BOOK YOU HAVE STOLEN MY HEART. The main villain, without wanting to reveal too much, is appropriately dark and twisted and really quite scary, it takes a while for him to be truly revealed but there is a dark undercurrent throughout the book and Camille is never quite sure exactly who to trust. I loved the little name drops of actual historical people through the book, we see Lafayette and Jefferson and it just made my history loving heart leap a little to see real people mentioned in the book! Trelease doesn’t go too much into the French Revolution but honestly I didn’t mind that, I actually preferred how she introduced an undercurrent of unease and unrest throughout the book and we just get the first explosion of Revolution because that’s not what the book was really about, it’s not about this big historical event, it’s about Camille and her internal struggles more. Some people have said that the pacing lagged a little in the middle, but I don’t really agree, I felt like the pacing was pretty solid throughout. There are places that are perhaps slower than others, but I felt consistently engaged and excited by the story throughout, even in the quieter moments which I feel is a true testament to the writer. The ending chapters in particular were brilliant, I was on the edge of my seat wanting to see how everything worked out in the end. I know there’s going to be a sequel and I’m super excited to be released back into the world Trelease has created here, but for those who don’t like cliffhangers, the book does end in a very satisfactory way that allows it to stand alone. Overall this book was an incredible, magical romp through 1789 Paris and Versailles, with a sympathetic, flawed and brilliant MC, a wonderful sibling relationship at the heart of it, fabulous writing which completely threw you into the world & a simple, but incredibly effective magic system. 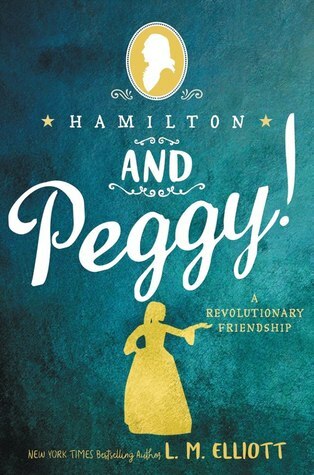 My next review will either be of Hamilton and Peggy! A Revolutionary Friendship or of A Curse So Dark and Lonely depending on which I finish first.